Compact design grounding reels provide an efficient and positive means to ground trucks working on or near energized lines. 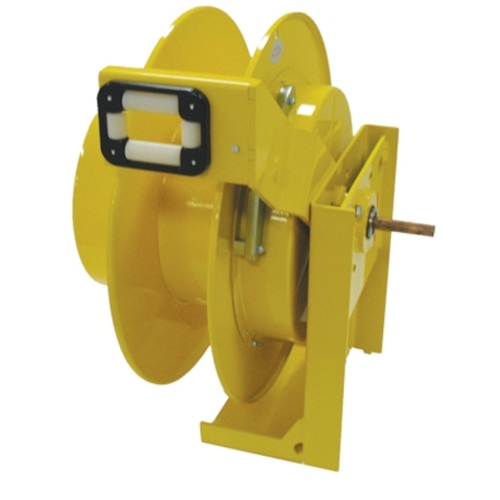 Grounding reels have been tested for maximum fault current rating and can be tested without removing from the truck. The ground connection from reel to the vehicle is made during the initial installation. Reels are designed to be bolted to the vehicle so they can be removed easily for transfer to new trucks. Spring rewind drum for controlled payout and take up. 4 way cable guide rollers allow for one man operation and prevents excessive wear on the ground cable. Weather tight construction to prevent corrosion.